If you’re looking to create websites and landing pages easy, then you need this. This is my Builderall review. If you are looking to have an online business, BuilderAll is what you need. It has all of the tools that you’ll need to be a success in one low-cost package. Just add your own talent to the mix. The one problem with most packages today is that you are constantly having to pick up new tools to do the job. So just getting all of the tools together that you’ll need with nothing more needed is amazing in itself. Now factor in getting a great combo deal and if you’re looking to make an online business there is no better deal than this. BuilderAll is the next generation in digital content creation along with so many other tools it’ll make your head spin. So let’s dive in and see who this is and what you get for the price in this BuilderAll Review. What are the best features of Builderall? Who can benefit from BuilderAll? What do you get with your Builderall purchase? Purchasing this bundle is cheaper than buying all of the tools individually as you need them. Just the website builder tools cost nearly as much as the entire package. Wix.com can go up to $25/month for just a single website. That does not include the video-creating software or any of the lead/marketing software. All around a great deal where you always have the right tool for the job. Compare this to other options you have to consider. With WordPress even downloading a simple theme can cost upwards of $100. Having your entire site look done by a professional can cost thousands of dollars with $4000-5000 for an average job. 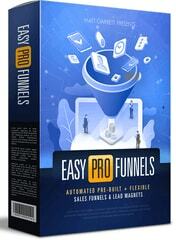 ClickFunnels is $97/month for the smaller package going all the way up to $297/month for the full-featured version. When you consider all the tools you get, BuilderAll’s value really stands out. It’s easier to build content with BuilderAll than other other website-building software out there. It’s easier than WordPress and you can have more than one hosted domain unlike Wix. All the tools you need are built-in. You won’t need plugins or want for other features. It’s all in there! The instruction videos take you from no previous knowledge to using the tools fluently. There are a ton of tutorial videos just from the vendor alone, let alone how many are on YouTube.With lots of real-life usage examples you have a lot of great ideas and help to use. The site builder makes sites viewable on desktops, tablets, and phones with no extra work on your part. The tools are there to make your content viewable on smaller screens. This is a must-have to rank for Google on mobile search. The tools work not only for this idea you have right now, but for future completely different ideas. 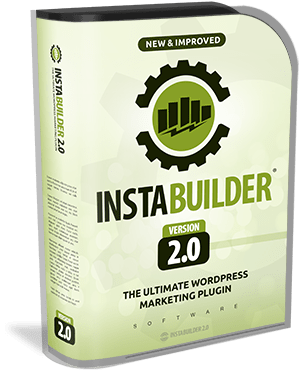 These tools aren’t only for building landing pages or for building blog content or for doing email marketing. It covers all of it. So matter what the plan, BuilderAll has you covered! The absolute best-priced email marketing tool out there included free! For email marketing, this is radically cheaper than MailChimp. For 10,000 subscribers it’s $274/month ($199 Pro Subscription + $75 for volume of subscribers). Regardless of volume the $199/month Pro subscription applies. There’s no volume charge for 2,000 subscribers/month but you’re still paying $199/month regardless for what is still an arguably fine product. If you’re reading this, it’s because you are looking to be an online entrepreneur and you’re looking for the tools to make it all possible. I’m sure more than one reason above made you smile because it’s a great toolset for a really great price. And by great price we’re talking well within reach of beginners willing to to risk $50 or less to try it. For those just starting out and dipping their toes in the water, this package is just right. The visual website creator with HTML5 drag & drop allows you to easily create content. The animated videos creator allows you put together great visual content to add that professional touch. The lead capture tools and email marketing tools with up to 10,000 subscribers allows you to make the most of your audience for maximum profits. No matter what you plan to do, this is the right tool for you. The lead capturing tools and 10,000 subscribers email marketing tools allow you to still monetize visitors who either didn’t buy initially or it allows you to market more products to the existing subscriber base based on interests. The BuilderAll platform integrates into Shopify and also with many payment systems such as Stripe and Authorize.net so this is a full-cycle platform to fit all of your needs. According to the official BuilderAll website, Builderall is currently selling for $49.90/month for the full version with all of the tools listed below. However, if you use any link on this page, you’ll get BuilderAll forever for only $29.90/month! $29.90 is certainly far cheaper than $49.90. In fact, that’s 40% OFF the original price. But is that a good deal? Is there a better deal out there? One big competitor is ClickFunnels. ClickFunnels is currently $97/month for the Starter package, with the full-featured Enterprise package costing $297/month. So $29.90 is far cheaper than $297. 90% cheaper in fact! Another one you may have heard of is Wix. Wix is around $25/month for their standard one-site package. With BuilderAll you get unlimited domains and far more tools. Working with WordPress is fairly standard and there are more articles and tutorials out there than you could ever read and watch. 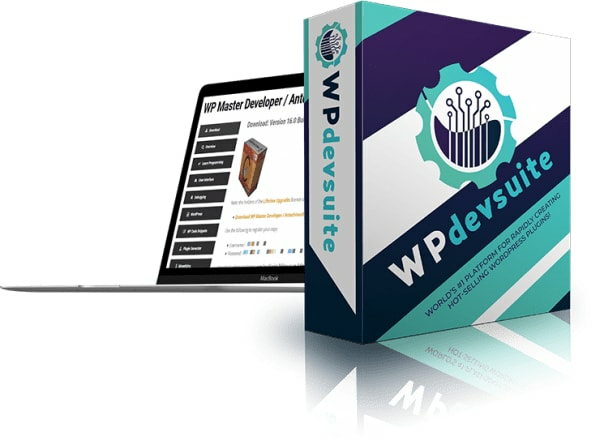 The average cost is thousands to get a custom wordpress theme and setup. With BuilderAll you can set the page up yourself. Starting out, you’re going to want to use the content building tools. BuilderAll has what they label the Pixel Perfect Builder. This is also the HTML5 Drag & Drop builder where you visually build on the page exactly how you want it to look. You are actually dragging around pictures and wording to look exactly how you want it to appear and under the hood the software sets up all of the necessary behind-the-scenes to make it possible. The downside of this is that you need to alter the page slightly for each resolution type, such as a tablet or a phone, for it to appear as you’d like. You have incredible control over this, but it’s also more work than WordPress that has themes that auto-format to fit the device. BuilderAll comes with many tools to help you succeed. This is what sets BuilderAll apart from the rest. There is quite a bit of tools listed here but the volume says a lot. You can mix these tools together to achieve your goals! This is a huge one. Some of the site-building software only allows you to have one domain. That would mean you are purchasing it multiple times making this a FAR better deal. You don’t have a specific total bandwidth. This does not mean you will have gigabit speed but you don’t have to worry about overages which is a peace of mind thing. 10GB should be plenty although once you start uploading many images and videos it can take up a bit of space. Luckily, there are CDNs (Content Delivery Networks) that you can host images and have them delivered extremely fast and for pennies a month. Google has a great CDN in their cloud ( https://cloud.google.com that I highly recommend from personal experience. Build your website visually. Unless you know how to do full HTML by hand, this will speed things up quite a bit to putting together your content so you can move onto the parts where you make the money. Create all of your content in mere minutes. This is where you really save the time. You can create mobile pages yourself without having to hire someone to do it for you. This is a visual editor where you can create optimized pages or squeeze pages. Normally video creation software is very expensive. Here is your chance to get this at a very low price as part of this package deal. Create unlimited animated videos to publish to YouTube and Facebook. There are plenty of BuilderAll tutorials to help you create amazing videos in no time. Amaze your visitors with professional quality floating videos. It’s easy to create those cool little floating videos. Create eBook covers and mockups using this incredible tool. All you need is a few images and in minutes you can create mockups for potential sales pages or even for customers. This tool does quite a bit for you to make images look great. You’ll save a lot of time mocking up designs before investing the time necessary to professionally polish them. Create eye-catching presentations for that finishing touch. You can easily integrate the presentations into your website for communicating with your visitors. You can build iOS and Android apps with ease with Builderall. Mobile is the big thing right now. Making webpages mobile-ready is big. Making a mobile app is a HUGE competitive edge. This is the tool for all of your marketing needs. You can manage all of your client relationships with this extensive email marketing system. A 10,000 subscriber email system and unlimited sending of emails rounds out this incredible tool. This is one of the very strong points along with email marketing. Capturing leads is essential and one of the things overlooked by beginners. If you’re doing digital marketing it’s a necessity in fact. You can capture leads with Facebook logins, email forms, opt-ins, and more. No matter what you are planning on using BuilderAll for, this is one feature you should always implement. You can integrate more closely with Facebook and increase your relationship with your users. You can capture leads and post to Facebook to make the most of social interactions. Use the SEO tools to be sure your content is put in the best light to search engines. Get full page analysis. Make your site as perfect as you can so it has the best chance to rank in the search engines like Google, Yahoo, and Bing. Find the most-clicked areas on your website to increase conversions. When you know where visitors gravitate to, you can place your Call To Actions in those areas. Builderall is a very high quality platform and practically a must-have for anyone looking to succeed online. You can build your website visually, check the SEO of it, easily create videos and presentations, and follow up with lead captures and email marketing. More or less it’s the whole scope of everything you’d need to do online, and it’s in one low-priced package. If you want to get a special deal, just visit this link and claim your deal today! 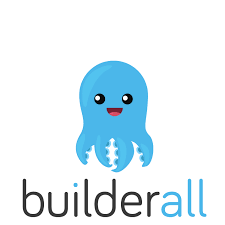 Affiliate Disclaimer: I hope you have enjoyed this Builderall review. Please note that any links inside this article may be affiliate links. That means that if you sign up using one of the links, I may be compensated for this. The money we make helps keep this site up and running and creating high-quality reviews.